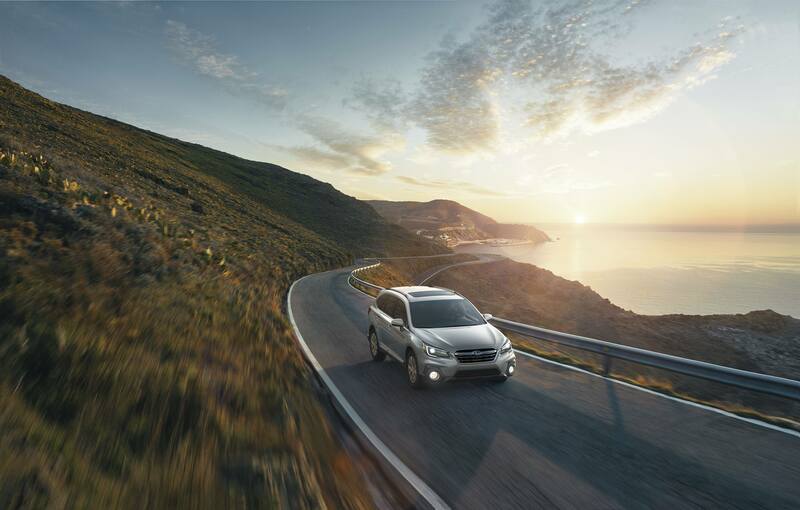 The 2018 Subaru Outback combines tradition with modern simplicity. The vehicle keeps a heavy foot in classic tradition while optimizing for the future, offering a number of modern features and innovations. With its affordable pricing, it is difficult to pass up adding the 2018 Outback to your driveway. Since the Outback’s early days in the 1990’s, Subaru has managed to build a well-respected reputation for the Outback as a strong, easy-to-use, durable vehicle. The 2018 model follows this simplistic traditional, however, the company has added a few modern touches to their classic design. The 2018 design features a high-resolution 8-inch touchscreen and a 12-speaker Harman Kardon stereo. Aesthetically pleasing, the 2018 Outback is well-equipped with a rich perforated leather upholstery, with tasteful woodgrain accents to polish the look. Advanced features, with a simple and modern design. The Outback is known for its rugged and simple exterior, making it the ideal car for your next off-road adventure. Today’s model follows traditional design elements by featuring plastic cladding on the lower bumpers and body, which act as a visual reminder of Subaru’s off-roading possibilities while keeping the functionality simple and effective. Additionally, the 2018 model has upgraded its front and rear styling with a border grille with a chrome slat, as well as revamping the headlamps with C-shaped LED running lights. Potholes have become essentially non-existent in the new 2018 Outback. Due to an improved suspension system, the Outback allows for smooth sailing on the construction filled streets of the city or the dirty back-roads of the countryside. Additionally, it’s symmetrical all-wheel drive allows the vehicle to tackle a variety of weather conditions. Bring on those long Canadian winters. There are dozens of features that make the 2018 Subaru Outback the ideal car for your family. Interior wise, the car is extremely spacious. There are 35.5 cubic feet behind the rear seat, and 73.3 cubic feet with the rear folded flat– plenty of room to pile the luggage, strap up the kids, and hit the open road. The 2018 Outback has earned perfect scores from IIHS and NHTSA in every front and side-impact crash test. Additionally, this model has improved its cruise control options, automatic emergency brake (which ignites the braking system to help avoid potential collisions), as well as adding steering assistant techniques, to keep the car in line with traffic. Want to learn more about the 2018 Subaru Outback? Book a test drive at Subaru of Niagara today.